JP Selects is a company which has made it it’s mission to broaden the horizons of sustainable green businesses. JP Selects helps these small companies with advertising and even global distribution and logistics. Not every brand is the absolute greenest but they do make they all have conscious aspects whether it is using recycled packaging, purchasing carbon offsets or being biodegradable. 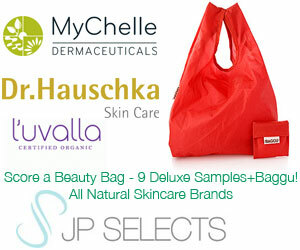 JP Select’s variety of products go from fashion to home to pet to health and wellness. If conscious shopping is important to you than you are bound to find a brand that you are already loyal to and definitely new ones to start trying. If you are interested in trying JP Select’s featured brands you can check out their How We Select section to make sure their processes are up to your standards. We are committed to scouting the world for the best up and coming brands and entrepreneurs who are making a difference with more sustainable products and by giving back. Named after our co-founder, humanitarian and entrepreneur John Paul DeJoria, at JP Selects we scout the USA and the World for the best up and coming brands and entrepreneurs. Every brand on JP Selects is vetted and tested by our team to ensure the quality of their products and the sustainability of their production. To further help emerging brands reach a broader audience, JP Selects also provides support with global distribution and logistics. JP Selects and the brands on our platform believe in supporting the environment and society, and we all contribute to important causes, because as our founder says, “Success unshared is failure”. Be the first of your friends to discover our emerging brands, all while making a difference. John Paul DeJoria is the co-founder of Paul Mitchell Systems, Patron Spirits, and now JP Selects. He is a renowned humanitarian who, from humble beginnings, has dedicated his life’s work to improving the well-being of millions of people across the world. John Paul and his wife, Eloise, believe that each of us has a daily responsibility to make the world a better place. With the philosophy that “Success Unshared is Failure”, John Paul has launched this innovative enterprise that will bring a multitude of ethically-conscious brands to public attention. All our brands support sustainability and great causes. You can find eco icons on brands indicating the value that each brand puts on sustainability, social causes and the way each brand makes this a better world. The key below explains what each of the icons represent – view How We Select to learn more.